Voters in four states will be making another big decision on November 8: whether or not to enact stricter gun laws. Unlike past elections, there are no statewide initiatives aimed at expanding gun rights this year. Instead, those in Maine, California, Washington and Nevada will be voting on tighter gun control measures. Here is what you should expect to see on the ballot in each of the four states. Well, that right is being questioned on this year’s ballot. What is being referenced as “Question 3” will asks voters whether background checks should be required for private sales—sales between parties who are not licensed dealers. If neither the seller nor the buyer is a licensed dealer, then they must go to a licensed dealer who would then run a background check before the sale is made. Because the measure also references “transfers,” background checks would be required when loaning guns, as well. Exceptions would include emergency self-defense, temporary transfers while hunting or sports shooting and transfers between family members. Nevada’s “Question 1” is similar to Maine’s “Question 3”—anyone buying a firearm would be required to pass a background check from a licensed dealer. Exemptions include transfers between family members and temporary transfers while hunting or sports shooting. Proposition 63, proposed by California lieutenant governor Gavin Newson, calls for background checks when purchasing ammunition and magazines. Those selling ammunition would also have to register for a license to do so. In other words, ammunition and magazine sales would operate the same as gun sales. If passed, California would be the first state to have such a law. The proposition would also ban large-capacity ammunition magazines (magazines capable of holding more than 10 rounds). Washington’s “Initiative 1491” would create “Extreme Risk Protection Orders” (ERPO). The initiative would allow family and household members and police to go to a judge and seek an ERPO if they feel you are at a high risk of harming yourself or others. 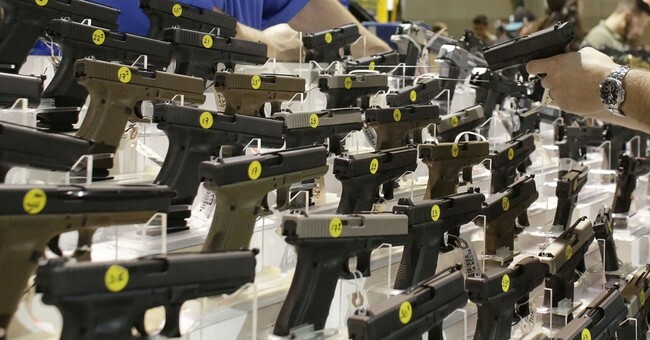 The order, if issued, would prevent you from “temporarily” purchasing a gun. However, the order can be renewed and or extended. The initiative also defines “family” and “household members” vaguely, allowing roommates from up to a year prior to seek an ERPO.